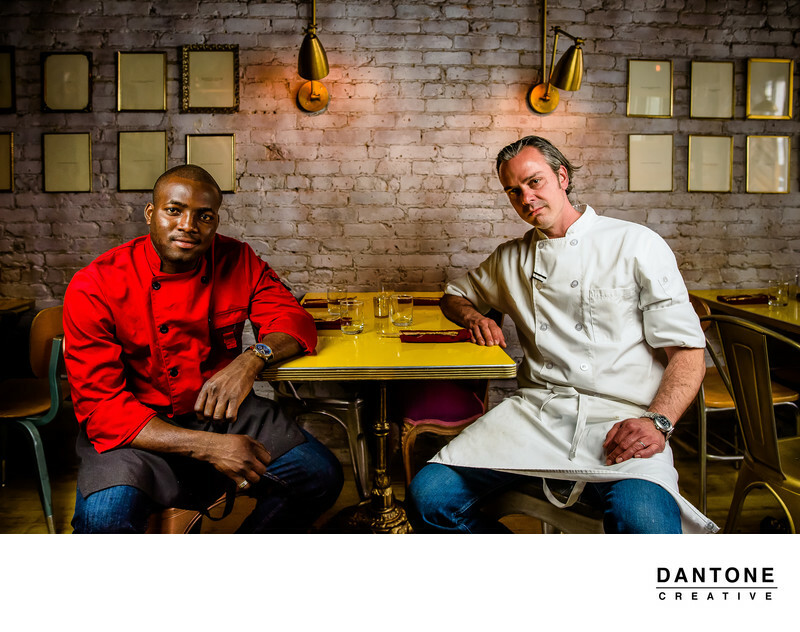 This creative portrait of chefs in Jersey City was photographed at Dull Boy restaurant on Grove Street. Taking food photographs at restaurants in New York City and Jersey City, I often times will also take creative portraits of the artists themselves, the Chefs. There are not many New York Food Photographers or New York City Portrait Photographers that will photograph the food in the restaurant, but also offer creative portraits of the staff and owners as well. Dantone Creative has worked with multiple talented individuals, in creating unique and creative portraits. From business owners, to factory workers, chefs, and magicians, we've got it all covered! Location: 364 Grove St, Downtown Jersey City, NJ 07444.